Material : Premium High Quality Synthetic Wood, Engineered wood composite : MDF board at back with glass on the front for protection. 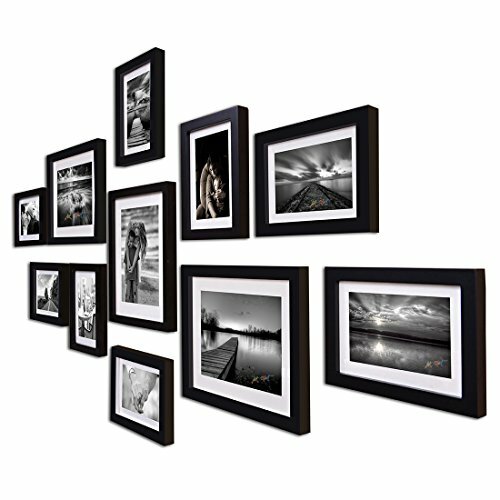 Photo Size : 3 piece : 8" x 10", 8 piece : 6" x 8" (White matt board included) Total Wall Size : 32" x 60", Photo pieces hang both vertically and horizontally with secure hanging hardware included with each photo Frame - Easy Installation guide included. Can be Used as a Gift for Your Friends, Sweetheart, Business Partner or Family Members. 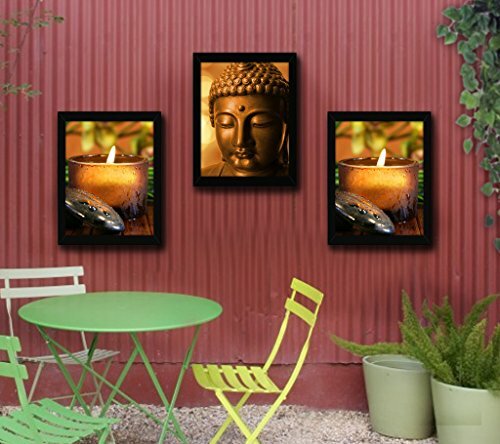 Re : live your golden memories by decorating your place with photographs. 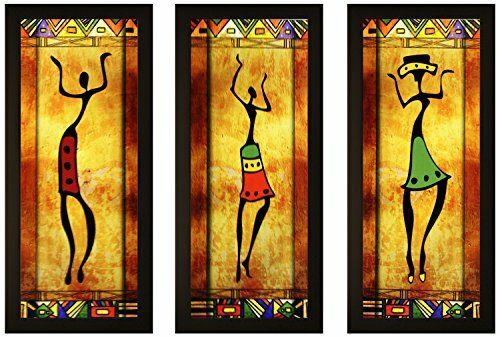 Bright colours and specially handcrafted artistic make, give these pieces a vibrant and modish touch to the plain walls of your living space. Give a personalized touch to your gifts by picking one of these pieces. 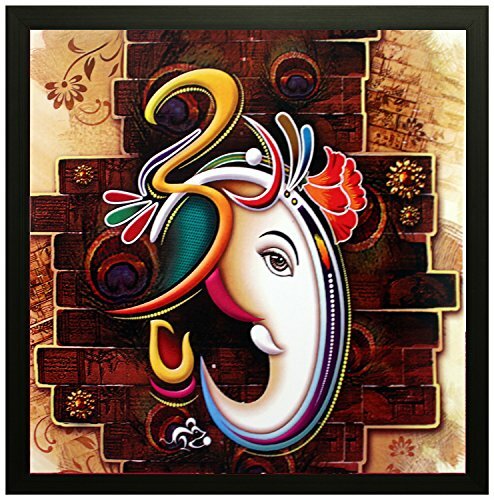 To buy premium quality and genuine products look for Art Street and Painting Mantra seal. 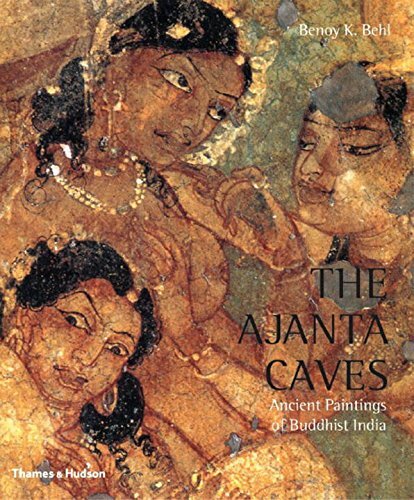 Gives a beautiful matte subtle effect giving a very rich look to the painting. High definition imagery printed on vinyl and pasted on 5 mm white sunboard with 3m tape for easy installation. Split painting. Comes in a sturdy pack for safe delivery. Combo of 5 Frames . Comes in proper package for delivery. 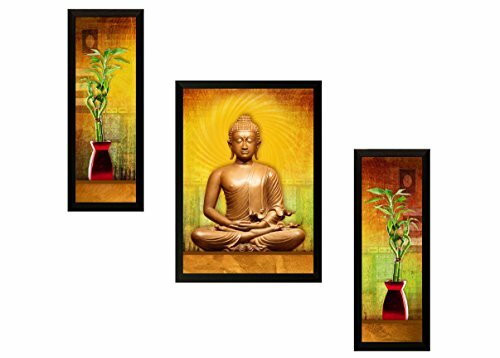 This is a set of three frames with conceptual designing. Digitally printed on premium quality 200gsm paper with vibrant colors. The front surface has a pp sheet protection (not glass) and hence is unbreakable. Material : High Quality Synthetic Wood, Plain Glass and Mdf Back; Color: Mix color of Nature, Brown, White. Photo Size : 8X10, 6x8 ,4X6. Comes with White Paper Border, it can be used for smaller size photos easily by user (can also be removed). 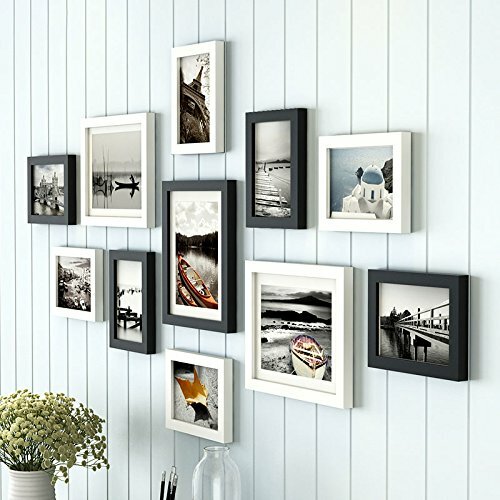 Photo pieces hang both vertically and horizontally with secure adjustable hanging hardware included with each photo Frame - Easy Installation guide included. Material : High quality synthetic in framing. 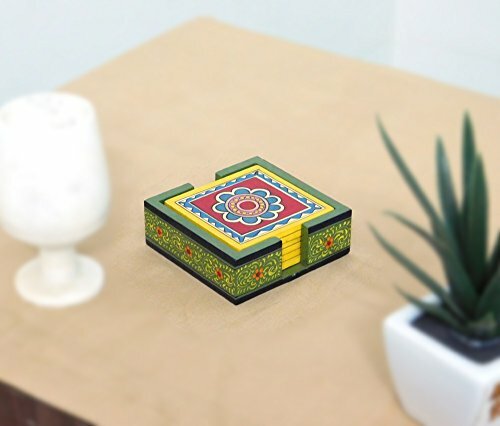 Usage : It can be used for Home décor and for gifting purposes. 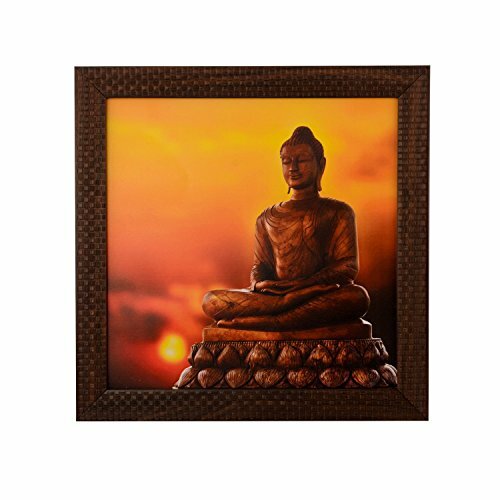 Gives a beautiful textured effect that gives rich look to the framed art prints. Comes in a sturdy pack for safe delivery. Long lasting impression. Ready to hang. 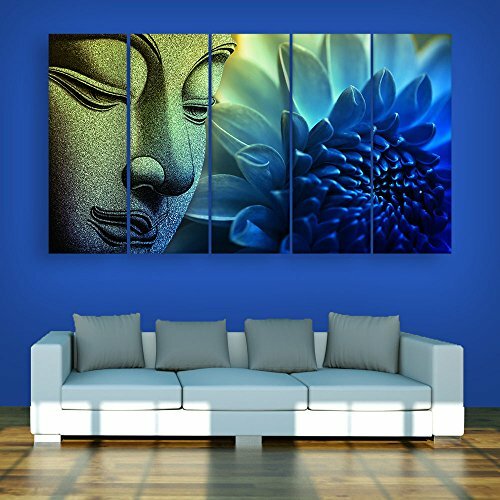 Paintings for your beautiful home and office. 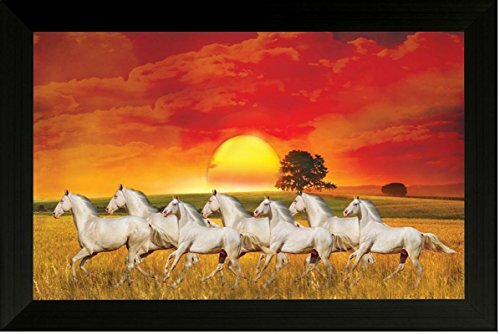 Dimensions - Length 23 inches x Width 41 inches + 1/2 inch additional border on sides for framing. Formerly known as 'Junk-Yards' - Premium quality Print & Canvas. Unframed - Carefully RolLED & Shipped in Professional hardboard tubes. Covered under warranty - Manufacturing defect, Wrong Size/Wrong design shipped. Walls look Awesome, Elegant & Beautiful. 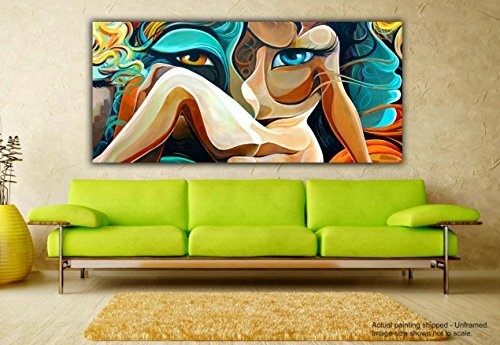 For more Awesome designs, please type "Tamatina Canvas paintings" in Amazon search. Thanks. 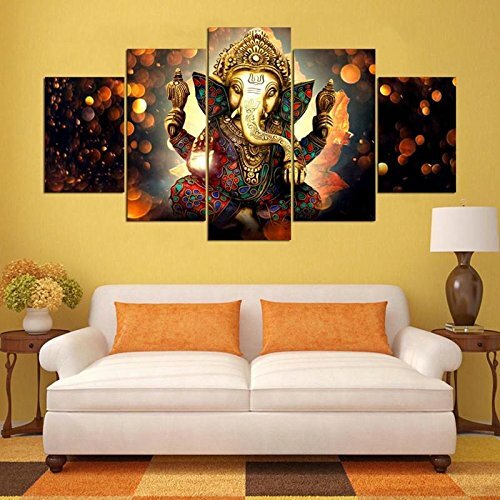 Perfect Wall Painting for Living Room, Bedroom, Office, Hotels, etc. Gives A Beautiful Textured Effect That Gives A Very Rich Look To The Painting. Size:-1Pc. (Centre) 10 X14 Inches & 2 Pcs. 5 in X14 inch X1.5 Inches (Lxbxh) In Inches.. Long Lasting Impression. Ready To Hang. Product Size (LxWxH) - 7" x 0.5" x 16"
Beware of buying from other UNAUTHORIZED sellers as no other seller except "eCraftIndia" is allowed to sell eCraftIndia Products. Buy original product from "eCraftIndia" seller only. 5 Assorted knives of sizes 1 to 5. 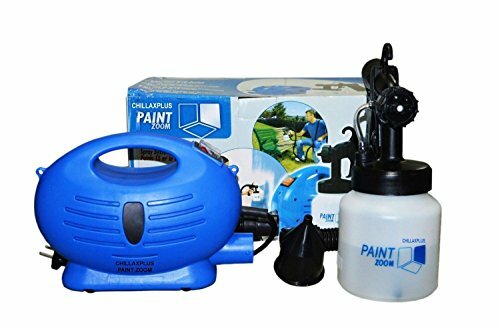 Use for Applying paints, pastes & pigments directly on to the Canvas. Bend in handles to keep the artist's hands off the painting surface. Thin and Slightly Flexible Blades help in applying paint properly. 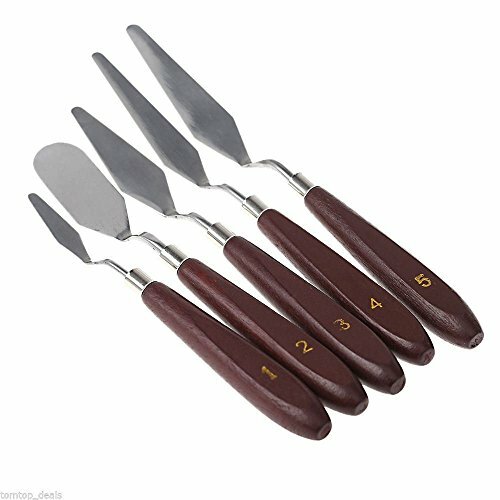 5 Piece Painting Knife Set; Sizes: 1, 2, 3, 4, 5; Material: Metal Blades & Polished Hard-Wood Handles. 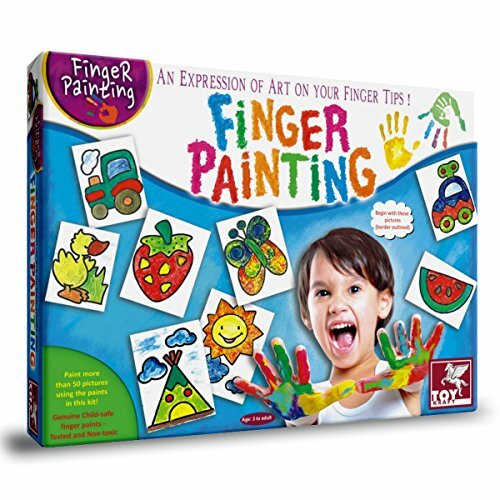 Use this set for painting and various art projects. 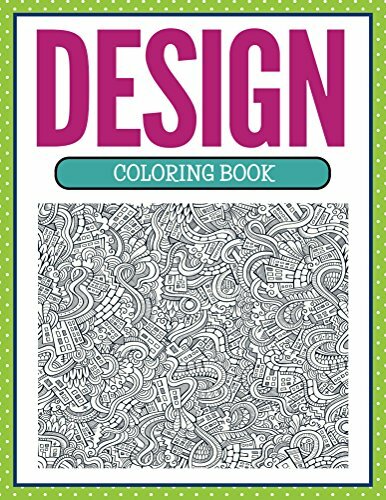 Suitable for amateur as well as professional Artists. Size:-1Pc. (Centre) 10.5X13.5.1.5 Inches 2 Pcs. 6X13.5X1.5 Inches (Lxbxh) In Inches. 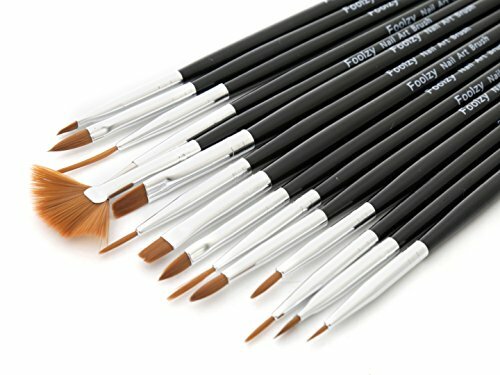 Light Weight Quality With Multi-Effects And Water Proof Painting/Wipe With Dry/Wet Cloth To Remove Dirt. 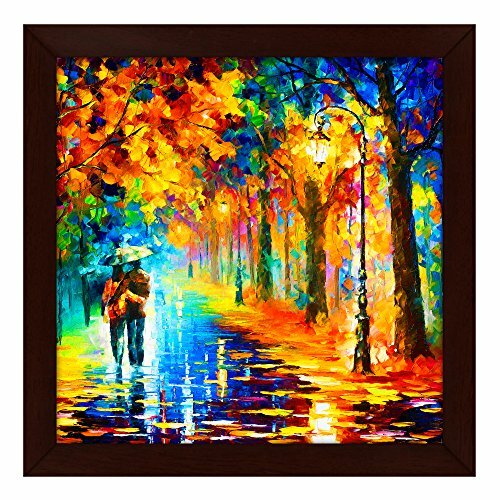 A Perfect Wall Decorations Paintings For Living Room, Bedroom, Kitchen, Office, Hotel, Dining Room, Office, Bathroom, Bar Etc..Due To Uploading Image Actual Wall Art Colors May Be Slightly Different From The Product Image. 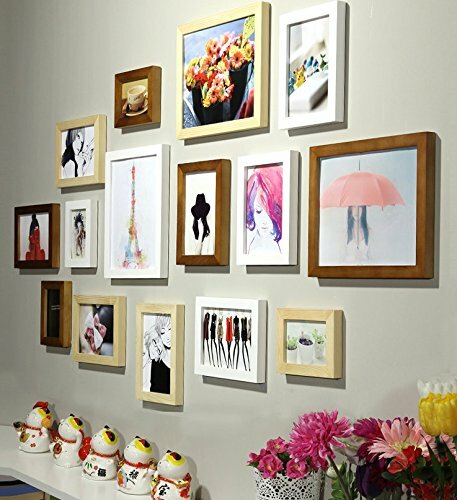 (PAF)This Is A Kind Of Photo Frame Or Picture Frame Gives You Joy With Impeccable Displaying Effect Preserves Memories And Sweeten Up Your Home . Great accessory for your bar, dining table, or coffee tea lounge not only functional but also works as a decorative piece when not in use. Perfect artifact for home, office, bar or restaurant. A unique gift idea too! Easy to wear long sleeve bib/apron. 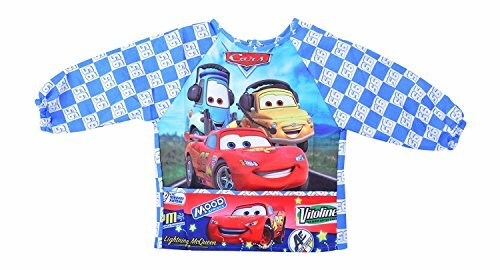 Suitable for 6 months to 6 years old. Easy to wipe and clean. 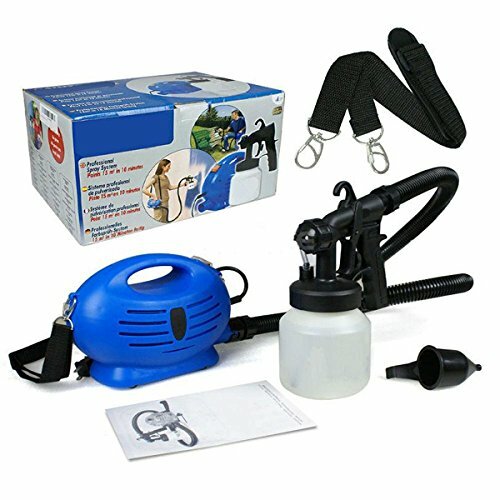 portable, Industrial-strength and commercial-grade motor and No compressor - Airless spray^Reaches tight corners and angles with 3-way direct-dial spray head and No-drip application for easy cleanup Main Motor unit, Air tube , Carrying Strap, Viscosity measuring cup, Spray Gun, Paint Container, Multi-language Instruction Manual. Buy WOTEL products from the seller "WOTEL" only. If you buy from other seller VelKro does not responsible for quality of products. So, before giving your order please check that your order is sold and fulfill by "WOTEL ". 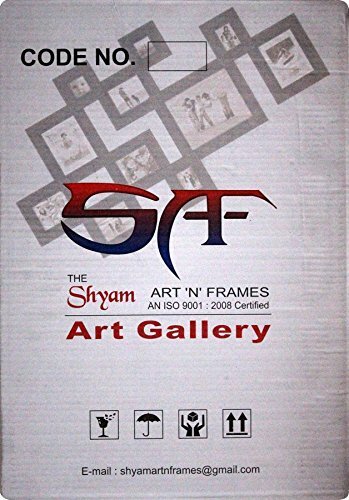 Shiva art Matt Framed Painting By Dreamzdecor-10"x 13" Size. 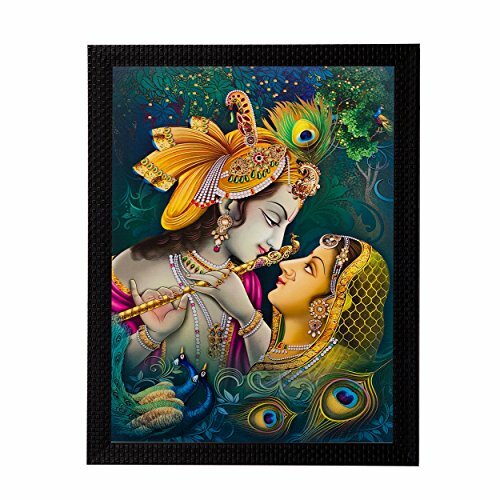 Radha Krishna Matt Framed Painting (Reprint) By Dreamzdecor-11"x 15" Size. 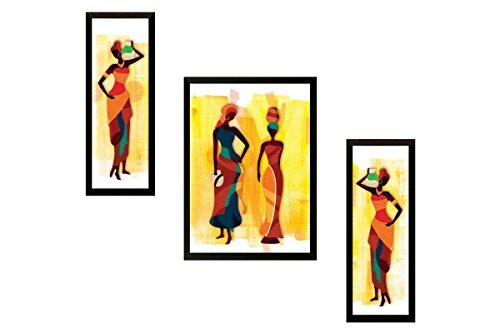 Beautiful Ladies Matt Framed Painting By Dreamzdecor-12"x 15" Size. 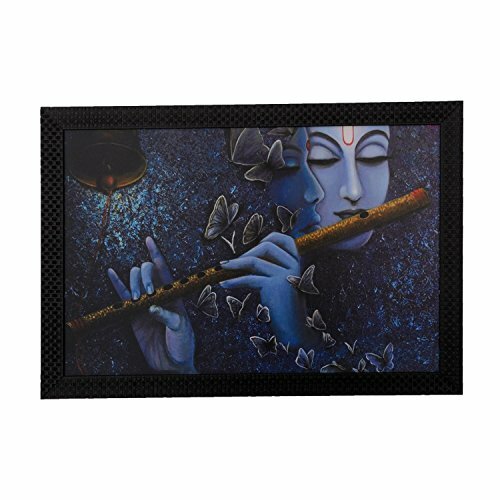 Rajasthani Matt Black Framed Painting By Dreamzdecor-11"x 15" Size. Flower Matt White Framed Painting (reprint) By Dreamzdecor-9"x 14" Size. 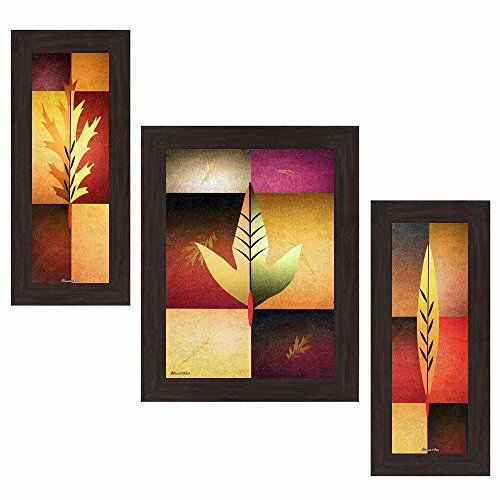 Artsitic Matt Framed Paintings (set of 3) By Dreamzdecor-6"x 12" Size. 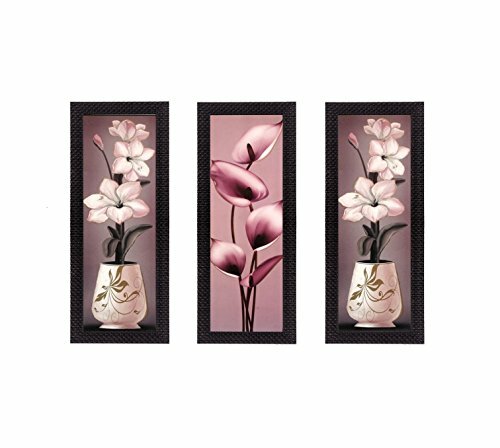 Artsitic Matt Framed Small Paintings (set of 3) By Dreamzdecor-6"x 12" Size. 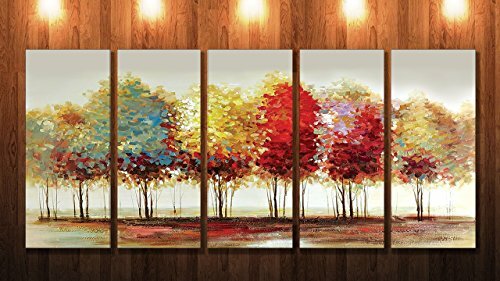 Artistic Matt Framed Paintings (set of 4) By Dreamzdecor-6"x 12" Size. Shri Hanuman Matt Framed Small Painting By Dreamzdecor-9"x 14" Size. 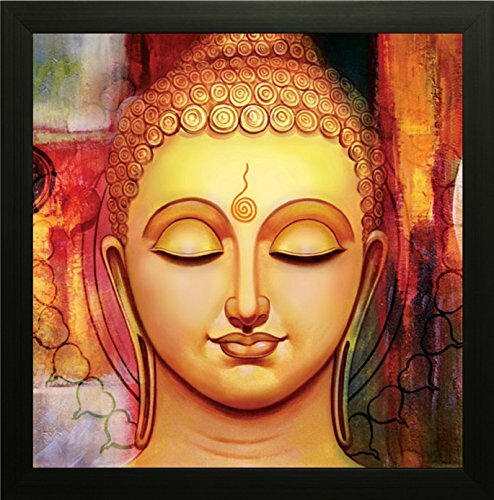 Beautiful Artistic Matt Framed Painting By Dreamzdecor-10"x 10" Size. 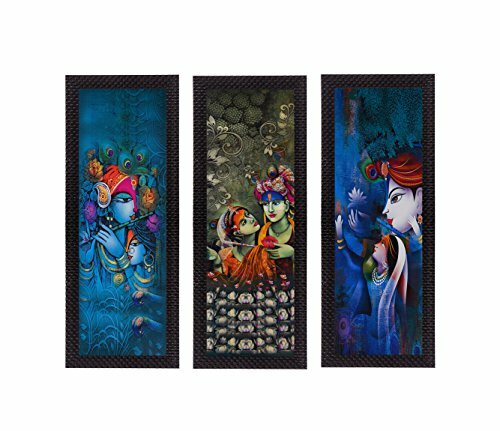 Shiva Parwati Matt Black Framed Painting By Dreamzdecor-12"x 15" Size. Shri Hanuman Matt Framed Small Painting By Dreamzdecor-10"x 10" Size. Nature Matt Framed Painting By Dreamzdecor-12"x 18" Size. 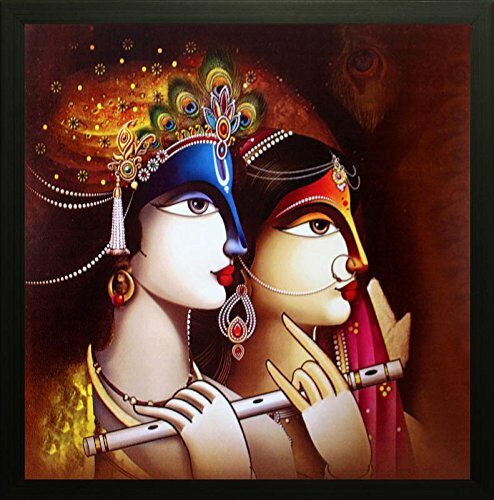 Rajasthani Matt Black Framed Painting By Dreamzdecor-12"x 15" Size. 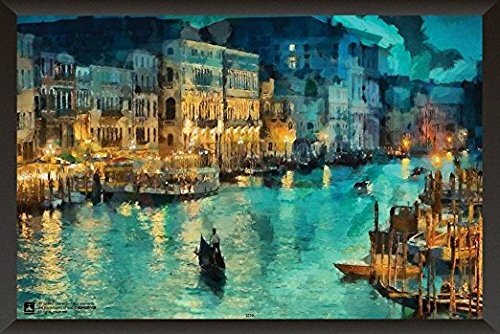 Artistic Matt Framed Painting(Reprint) By Dreamzdecor-10"x 14" Size. 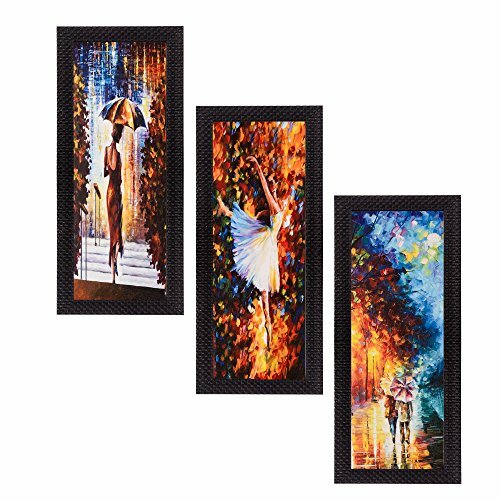 Artsitic Matt Framed Small Paintings (set of 2) By Dreamzdecor-6"x 12" Size. Nature Matt Black Framed Painting By Dreamzdecor-11"x 15" Size. 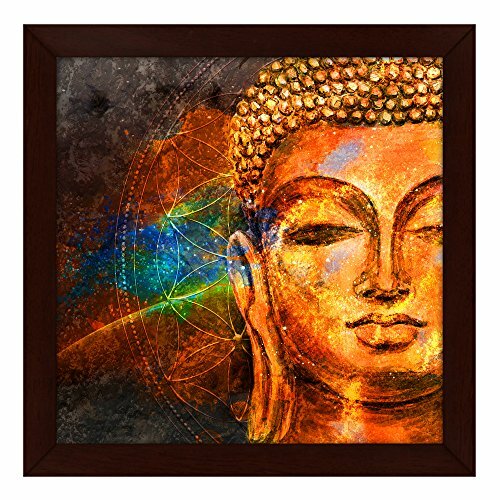 Shiva art Matt Framed Painting By Dreamzdecor-14"x 15" Size.